Benjamin Netanyahu interview: The Israeli prime minister on Iran, Syria, and the future of the peace process. 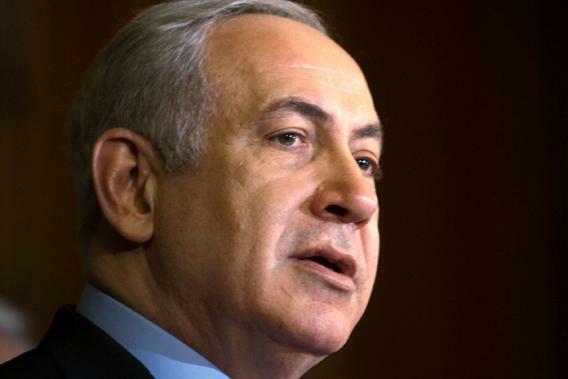 An interview with Israeli Prime Minister Benjamin Netanyahu. Lally Weymouth: You said this week that Israel would not accept anything less than the total cessation of all enrichment of nuclear materials by Iran. You also called for the removal from Iran of all enriched nuclear materials. You then went on and laid down quite a few conditions. Are your conditions greater than before, and do you have a timetable for military action against Iran? Benjamin Netanyahu: These aren’t my conditions. They are the demands of the U.N. Security Council. And they’re minimal demands—that Iran remove all enriched nuclear material, that they stop all enrichment, and that they shut down the illicit nuclear facility in Qom. I think they should be held to this. It’s an acid test of whether they are serious. We shouldn’t put style over substance. L.W. : What do you think of the recent Iranian elections? B.N. : I think the elections reflect a deep dissatisfaction of the Iranian people with its regime. Unfortunately, this result doesn’t have the power to change Iran’s nuclear ambitions. These are determined not by the elected president but by the so-called supreme leader, [Ayatollah Ali] Khamenei. L.W. : You mean the nuclear program is controlled by Khamenei? B.N. : Guided and controlled by Khamenei. He remains committed to pursuing the path of arming Iran with nuclear weapons, and I’m afraid the elections are not going to change that. L.W. : But after all, Khamenei ruled out [of contention] Esfandiar [Rahim] Mashaei and other candidates. Hassan Rouhani was one of the candidates the supreme leader allowed to participate in the election. B.N. : That’s right, Rouhani was chosen as one of a slate of candidates that conform to Khamenei’s extremist views. They eliminated hundreds of candidates and left seven. Then they eliminated [former president Ali Akbar Hashemi] Rafsanjani and Mashaei. They left Rouhani. Rouhani used to be the national security adviser of Iran and the former nuclear negotiator. He’s the author of a doctrine—I call this doctrine “talk and enrich.” He wrote the book on it. L.W. : Is this an analogy, or he actually wrote a book? B.N. : He wrote a book. The book was [about] his experiences in negotiations. L.W. : As a nuclear negotiator? B.N. : Yes, and other experiences. L.W. : So you think Rouhani will put a nice face on the Iranian regime? We can’t let the Iranian regime play this game. They play for time. They continue to enrich. They broaden the base of their nuclear program. What Iran is seeking is not one or two bombs but 200 bombs. They’re building ICBMs [intercontinental ballistic missiles] parallel to developing their nuclear weapons program. The ICBMs are not intended for us; they’re intended for you. Within six to eight years, they intend to be able to reach the continental United States. To have a regime like this—that is, a rogue regime—have a nuclear arsenal with their messianic, apocalyptic ambitions is to imperil the entire world. It is to put the peace of the world in great jeopardy. L.W. : Are you prepared to do something about Iran on a military basis? B.N. : I never talk about what we’re prepared to do, but Israel always reserves the right to act and defend itself, by itself, against any threat. L.W. : I know President Obama has said he won’t accept a nuclear Iran. Do you believe him? Do you trust him? B.N. : I believe that’s his goal. I think that we’re all [being] tested, all of us. And the jury is out on all of us, on whether we muster the resolve to prevent this from happening. Because Iran with nuclear weapons would be the greatest threat to peace and stability in the world since the mid-20th century, when another threat was crushed. It imperiled the world. This will imperil the world. This is a regime that sponsors worldwide terror across 30 countries. They and their proxy, Hezbollah, engage in terror attacks. They were just uncovered in Nigeria and before that in Bulgaria. L.W. : You mean Hezbollah’s efforts to kill Israeli diplomats and tourists throughout the world? B.N. : Yes, but also killing others. They have a network that’s been uncovered in Thailand, in Azerbaijan. L.W. : But don’t they specialize in killing Israelis? B.N. : That’s their No. 1 target, but they have no qualms about killing others. They wanted to assassinate the Saudi ambassador in downtown Washington. They’re violating every norm. They kill American soldiers in Afghanistan and Iraq. … They’ve sent their proxies into Lebanon and basically extinguished the light of freedom and progress in that country. They’ve put their henchmen in Gaza, and they supply them with tens of thousands of rockets to hit our civilians. This is a regime that must not be allowed to have the weapons to control the oil markets of the Middle East and to ignite a nuclear arms race. This is a regime that denies the Holocaust and threatens to annihilate the 6 million Jews of Israel. The world should be very clear about making sure that Iran does not get nuclear weapons, period. L.W. : Shifting to another subject, how do you feel about U.S. Secretary of State John Kerry’s mission? What are you willing to do to restart peace talks? B.N. : Well, first, the most important message that I have is to be unrelenting in the pressure on Iran. The sanctions were often dismissed because it was said [that] they would get the Iranian people to rally around the regime. Some rally. It’s important to step up the sanctions, not to relent, not in any way to offer concessions in advance of any serious change in Iran’s nuclear program. The sanctions produced some changes in Iran, but they haven’t produced yet the change we need to see. L.W. : What do you think about Secretary Kerry’s attempts to restart negotiations between Israel and the Palestinian Authority? B.N. : As far as the attempt at securing peace with the Palestinians, I think we should stop negotiating about the negotiations. I think we should just get on with it. B.N. : Yes, we should just get on with it. We should enter immediately into negotiations without preconditions. That’s been my view for the last four years, and I hope it becomes the Palestinian view. If Secretary Kerry, whose efforts we support, were to pitch a tent halfway between here and Ramallah—that’s 15 minutes away driving time—I’m in it, I’m in the tent. And I’m committed to stay in the tent and negotiate for as long as it takes to work out a solution of peace and security between us and the Palestinians. Now there are many things that I need to successfully close a deal, but I don’t ask them of Abu Mazen in advance. Israel has withdrawn from territory, from Lebanon and from Gaza, with the express promise that once we do so we’ll have peace and security. But in fact, the opposite happened. We gave land, but we didn’t get peace. We got, in the case of Gaza, 12,000 rockets on our cities. In the case of Lebanon, we got an Iranian enclave with another 12,000 rockets. We can’t afford to have that happen again. We’ll have to have an arrangement that assures our security, that tells us what’s on the other side in a Palestinian state. Is it another Iranian client-state that is committed to our destruction? That arms itself with missiles and rockets? Or is it something that actually changes the climate, that teaches its people and its children to live in peace with us and is genuinely demilitarized? These are questions that cannot be resolved before we enter the tent. They’ll have to be resolved in order for us to leave the tent with an agreement. But I don’t place any of our conditions and our demands in advance of the negotiations, and I hope the Palestinians don’t either. L.W. : But you know that they do, of course. B.N. : I think that encouraging that and enabling that undermines peace. I think placing preconditions before negotiations is the quickest way to undermine peace. That’s what has been done in the past four years, and we’ve gotten nowhere. It’s time to look at a different course. It’s time to grapple head-on with the issues and negotiate. You can’t end negotiations unless you begin them. And you can’t begin them if you continually negotiate about the terms to begin negotiations. L.W. : Israel has the power. Can’t you somehow encourage the Palestinians to come to the table? B.N. : We’ve made significant concessions—they told me to freeze the settlements. L.W. : Well, that was in your last term. So why don’t you do it again? B.N. : I said it hasn’t been done for 18 years. They said, ‘But if you do this and you give it enough time, like almost a year, Abu Mazen will come in.’ I said that’s almost impossible to do, but I ended up doing it! After 10 months, he came in, and the only thing I heard was a demand for another three months. And I think it proved that the problem wasn’t a settlement freeze. The problem isn’t the settlements. That’s an issue that will have to be solved in negotiations. But what’s the real reason this conflict has not been solved and has been going on for years before we had a single settlement? And after we left Gaza and tore up the settlements, the conflict continued. L.W. : You think the real reason this conflict hasn’t been solved is … ? B.N. : The real reason is the persistent refusal to recognize a sovereign Jewish state in any boundary. That was and remains the core of this conflict. To solve this, the Palestinians will have to recognize the Jewish state just as we recognize a Palestinian state. Both peoples, both nations deserve a nation-state of their own. Palestinians, if they wish so, will go to the Palestinian state; Jews, if they so wish, can go to the Jewish state. And we’ll have to have security and demilitarization agreements between us. But the beginning of the conflict and the root of the conflict is the refusal to recognize Israel in any boundary. Once this is overcome, I think there is a chance for peace. I think that is never recognized because people are fixated on one of the results of conflict, which are the settlements, but it’s certainly not its cause. L.W. : A peace agreement is not just an issue in Israel, it’s also an issue in the international community. And don’t you think the international community is trying to isolate and delegitimize Israel? B.N. : No, the real reason we have to solve this problem is not really to get the international pressure off our backs. There will be renewed pressure on other things. The history of the Jewish people does not speak kindly to that effect. For 2,500 years people believed the most outrageous things about the Jewish people. … We thought that would take a respite after the Holocaust, but it came back after a few decades. The horrible distortions that people believed about the Jewish people they now believe about the Jewish state. I don’t think that’s materially going to change. L.W. : So what do you think is the reason you need to solve the Israeli-Palestinian conflict? B.N. : The reason we need to solve the Palestinian conflict is not because it would substantially improve our standing in the world. The reason we have to resolve it is that we don’t want a bi-national state. I don’t want a bi-national state. I want a state for the Jewish people alongside a state for the Palestinian people. At the same time, I don’t want an Iranian state next to our borders that would hurl thousands of rockets at our cities. It’s the balance between effecting a separation between the Israelis and Palestinians and assuring that the Palestinian state does not become an Iranian outpost that concerns my efforts vis-à-vis the Palestinian-Israeli peace process. This is why I support Secretary Kerry’s effort to get us into the tent, so to speak, so we can iron these differences out and get a result that is balanced. L.W. : Turning to Syria: What do you think of the American effort to arm the opposition, and how do you see the conflict there, and do you believe President [Bashar al-] Assad will stay on? B.N. : I understand the American position. I also understand the American concern. There’s horrific carnage in Syria. On a vast scale, innocent people are being slaughtered. We’ve had a policy not to intervene in the civil war. But we do have a policy to protect ourselves if attacked. We also have a policy to oppose arms transfers to Hezbollah, which is not only a deadly enemy of the state of Israel but the main engine fighting for Assad right now. It is brutally murdering civilians inside Syria. I can’t tell you what the outcome will be in Syria. It’s too early to say, and I’m always careful about prognostications. But I do say with full commitment that Israel will do whatever is necessary to defend itself against terrorists and other threats from Syria and from Hezbollah.